This is your opportunity to place your business in the historical Avonmore House, Banbridge Town Centre. Avonmore House was the family home of explorer Captain Francis Crozier, whose impressive monument stands proudly in front of the building. Avonmore House comprises of modern office accommodation which has been finished to a high standard throughout and benefits from gas fired central heating. Avonmore House will act as a business hub catering for varying businesses from new-starts needing flexible terms to existing businesses looking for a longer term. 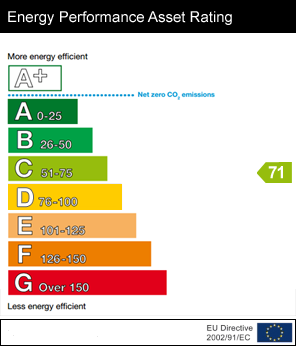 Both electric and heating costs are included within the monthly rental figure, meaning that tenants do not need to enter contracts with these service providers. Tenants will be allowed 24-hour access to the building, meaning Avonmore House can cater for a wide range of businesses. Each suite benefits from an integrated intercom and access system, allowing tenants to remotely open the entrance door for clients from their suite. Each tenant will be allocated an allowance for using the boardroom each month for business meetings and presentations, with additional use of the boardroom available at an additional cost. Abundant free off-street parking available in Church Square Car-Park, which is less than a 1 minute walk to Avonmore House. If you would like to arrange a viewing please do not hesitate to contact Quicklet Property Management and Lettings Agents, Lurgan on 02838328131.